OK, so I’m a bit late with this, but I am a firm believer in thinking before speaking or writing. That doesn’t mean I am always able to reflect before speaking, but it is a goal. On the world stage, Angela Merkel is one of my People of the Year 2011. She is one strong woman and a role model for young women around the world. She was successful in holding the European Union and the Euro together against dreadful odds. Granted, it is possible that things could still crumble. She is arguably the most powerful person in the world. 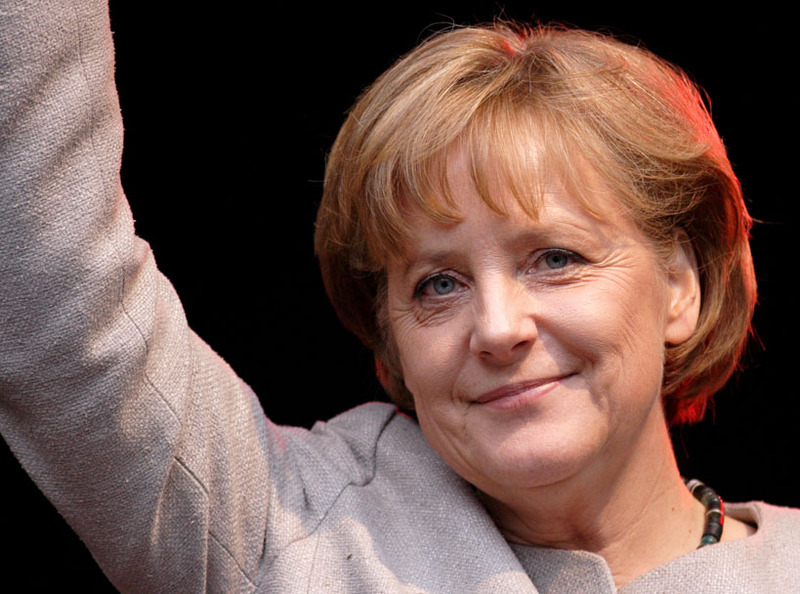 She presided over the government that made the very intelligent decision to eliminate nuclear power from Germany. Truth be told, I may not agree with all her politics (slowed phase out of nuclear power, for instance) but her success is undeniable. Related to Chancellor Merkel are the small scale ecological pioneers of Germany, another of my People of the Year 2011. Germany has become a leader in implementation of solar power despite being in a higher latitude (less sunshine) than more likely candidates. The word ‘ecology‘ was coined in 1866 by the German biologist Ernst Haeckl. Germany is investing heavily in alternative energy sources and they are being embraced by many small entrepreneurs and private citizens. Twenty percent of Germany’s energy came from renewable sources in 2011 and that amount is scheduled to increase. Compare that to only 14.3% renewable in the US. 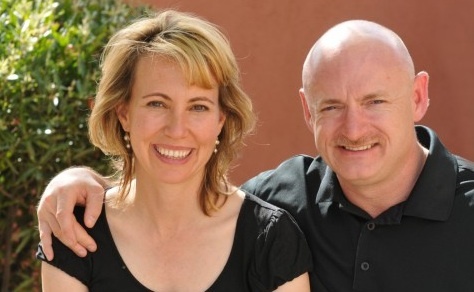 My couple of the year 2011 are also my Americans of the year: Congresswoman Gabrielle Giffords and Astronaut Mark Kelly. They represent what is best in America, both incredibly brave in their personal and public lives. Gabrielle Giffords was attacked by a crazed gunman in Tucson Arizon last January. Six other citizens were murdered at the same time. She has made a remarkable recovery from a gunshot to the brain. Astronauts represent the most publicly brave persons imaginable. Since visiting Kennedy Space Center in Florida, more than ever before I am impressed by the enormous courage it takes to blast into the vast expanses of space in a relatively small metal vehicle. As I write this I heard on the news that Arizona Congresswoman Giffords is resigning to work on her further recovery. Best wishes and a big thank you to her. Sadly now I must name my worst persons of the year. They are the officials at Tepco who presided over the Fukishima nuclear meltdown, the world’s single worst ecological disaster ever. Just thinking about this makes me sick. While these Tepco bigwigs did not cause the earthquake or the tsunami which followed, they were the folks that managed the nuclear plants, who decided to build nuclear power plants in an earthquake and tsunami zone and not maintain them properly, who obfuscated and lied about the severity of the problem. So now we have a radiation polluted Pacific Ocean, millions of sea creatures have died. More people will die as a result of this “accident” than were killed by the regimes of Hitler, Stalin and Pol Pot combined. What ever happened to falling on the sword? It has been a while since I have written a post. I’ve been very busy with my life in general, but also very intensely concerned with the Earth and the ecological devastation that has taken place increasingly over the past year. I don’t like to write a post that is infused with hopeless negativity even if what I am writing about is true. Last year we had the Gulf of Mexico oil spill, a totally preventable man-made disaster, that was so destructive to other species and human livelihoods. It really made me furious and I could not write about it constructively, so I did not write about it at all. Instead I wrote some posts about energy solutions. I hope to continue to do this, but of course this is primarily a blog about the anomalous and the paranormal. The Earth has also experienced a number of violent earthquakes around the world in many places such as Haiti, Chile and of course, Japan. I fear that the western coast of North America will not be spared. My heart goes out to all people and other creatures affected by these calamities. I am aware that earthquakes are a continuous phenomena across geologic time. It does seem to me that the severity and number of these quakes are increasing in recent years. A higher population density worldwide intensifies the destruction to humans. A theory concerning greater earthquake frequency to which I currently ascribe is that as glaciers and polar ice caps continue to melt due to (mostly man-made) global warming, the placement of water changes around the globe. There is, for instance, less water ice resting on the Himalayas and therefore a whole lot less weight holding them down, while there is perhaps more water, therefore more weight, in the South Pacific, especially around the equator. When this weight is redistributed in this manner, especially in a very geologically active area, such as the Ring of Fire, it may boost the number and severity of quakes on fault lines. The extent of the weight of water in this equation should not be underestimated. Think about how attentive one must be to water pressure when scuba diving only a relatively few feet down. Now in addition to the devastation caused by the earthquakes and subsequent tsunamis, another man-made catastrophe has occurred. The nuclear reactors at Fukishima have been severely damaged by the quake and tsunami and are now in various states of partial meltdown. Unfortunately the reactors were unsafe from their inception. Nuclear energy is inherently unsafe due to human fallibility which is always present along with human greed which causes planners to cut corners, and because the spent fuel remains highly radioactive for hundreds of thousands of years and there is no where to put spent fuel that is safe. Sadly, the situation is far from under control, though brave workers at the plant have repeatedly attempted to shut down the reactors at the cost of their own (workers) health. 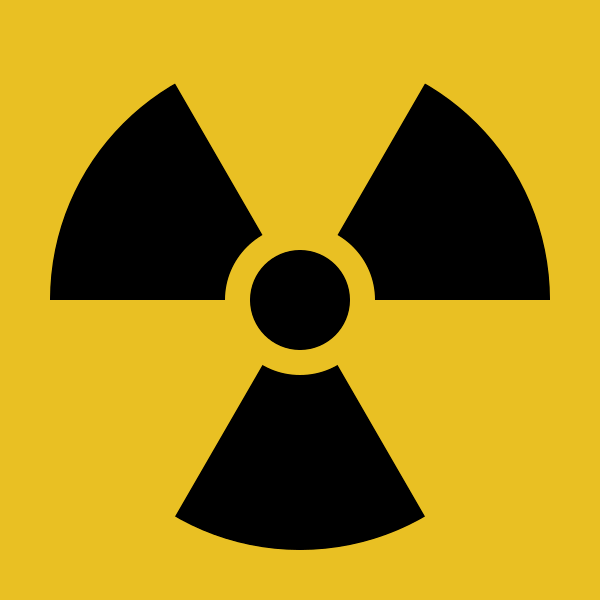 It is not the object of this blog to go into detail about the various radioactive substances still being manufactured and spewed forth from Fukishima and which are a hazard to all biological life on this planet. A smart consumer of information will be well advised to look into this on his or her own. An excellent starting place is Arnie Gunderson’s site Fairewinds Associates. I personally would like to see all nuclear facilities fazed out starting with reactors in large population areas, on or near geological faults or subject to violent weather extremes. Of course we should all do what we can to help the victims of these multiple tragedies. One action we can take to prevent this tragedy being repeated, is to lobby our elected officials to shutdown nuclear power plants and withdraw tax subsidies to build new ones. Go ahead…write those letters…get off yer duffs and go out and demonstrate! Do something proactive instead of stewing in existential depression which is pointless. Here in the USA we could easily use the flatulance coming out of the mouths of politicians to power massive electrical plants. But seriously, we need more forward thinking ideas like those outlined in the following article. The answers are out there to save warm-blooded species on our planet (That includes us.) If we don’t we’ll all perish and take all the large mammals and many birds with us. Make no mistake the Earth will go on, without us. Witness the dinosaurs! Congratulations to California and Wisconsin for leading the way in the USA to break our dependency on foreign oil and the noxious byproducts of fossil fuel. Thanks to NY Times and Frank DeMarco (see links in my blogroll). Here is a positive story of what can be done when the will to overcome entrenched special interests is strong enough. Kristianstad has already crossed a crucial threshold: the city and surrounding county, with a population of 80,000, essentially use no oil, natural gas or coal to heat homes and businesses, even during the long frigid winters. 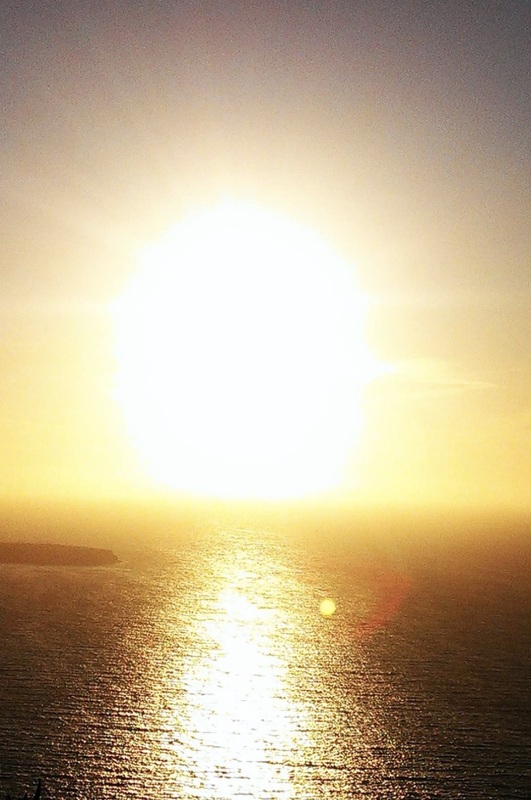 It is a complete reversal from 20 years ago, when all of their heat came from fossil fuels. But this area in southern Sweden, best known as the home of Absolut vodka, has not generally substituted solar panels or wind turbines for the traditional fuels it has forsaken. Instead, as befits a region that is an epicenter of farming and food processing, it generates energy from a motley assortment of ingredients like potato peels, manure, used cooking oil, stale cookies and pig intestines. A hulking 10-year-old plant on the outskirts of Kristianstad uses a biological process to transform the detritus into biogas, a form of methane. That gas is burned to create heat and electricity, or is refined as a fuel for cars. Once the city fathers got into the habit of harnessing power locally, they saw fuel everywhere: Kristianstad also burns gas emanating from an old landfill and sewage ponds, as well as wood waste from flooring factories and tree prunings. Over the last five years, many European countries have increased their reliance on renewable energy, from wind farms to hydroelectric dams, because fossil fuels are expensive on the Continent and their overuse is, effectively, taxed by the European Union’s emissions trading system. But for many agricultural regions, a crucial component of the renewable energy mix has become gas extracted from biomass like farm and food waste. In Germany alone, about 5,000 biogas systems generate power, in many cases on individual farms. Kristianstad has gone further, harnessing biogas for an across-the-board regional energy makeover that has halved its fossil fuel use and reduced the city’s carbon dioxide emissions by one-quarter in the last decade. In the United States, biogas systems are rare. There are now 151 biomass digesters in the country, most of them small and using only manure, according to the Environmental Protection Agency. The E.P.A. estimated that installing such plants would be feasible at about 8,000 farms. So far in the United States, such projects have been limited by high initial costs, scant government financing and the lack of a business model. There is no supply network for moving manure to a centralized plant and no outlet to sell the biogas generated. Still, a number of states and companies are considering new investment. Last month, two California utilities, Southern California Gas and San Diego Gas & Electric, filed for permission with the state’s Public Utilities Commission to build plants in California to turn organic waste from farms and gas from water treatment plants into biogas that would feed into the state’s natural-gas pipelines after purification. Using biogas would help the utilities meet requirements in California and many other states to generate a portion of their power using renewable energy within the coming decade. Both natural gas and biogas create emissions when burned, but far less than coal and oil do. 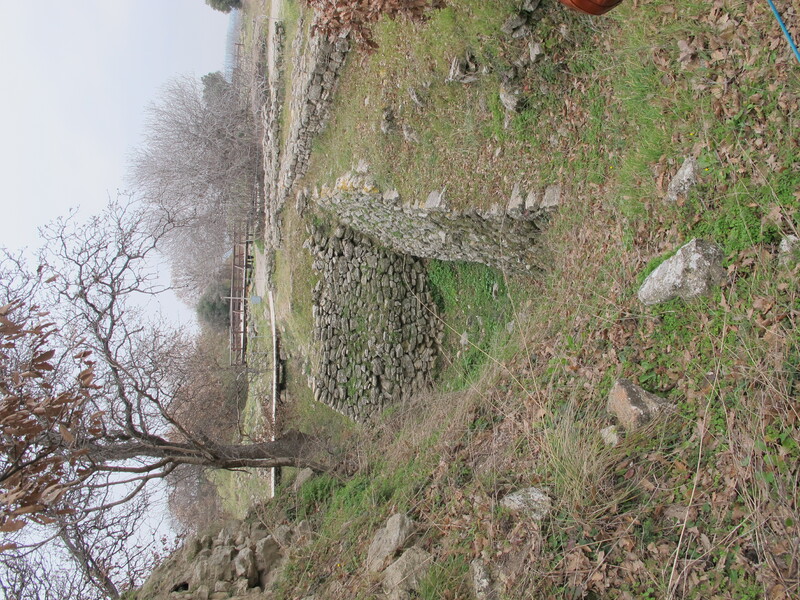 And unlike natural gas, which is pumped from deep underground, biogas counts as a renewable energy source: it is made from biological waste that in many cases would otherwise decompose in farm fields or landfills and yield no benefit at all, releasing heat-trapping methane into the atmosphere and contributing to global warming. This fall, emissaries from Wisconsin’s Bioenergy Initiative toured German biogas programs to help formulate a plan to develop the industry. ‘Biogas is Wisconsin’s opportunity fuel,” said Gary Radloff, the initiative’s Midwest policy director. Like Kristianstad, California and Wisconsin produce a bounty of waste from food processing and dairy farms but an inadequate supply of fossil fuel to meet their needs. Another plus is that biogas plants can devour vast quantities of manure that would otherwise pollute the air and could affect water supplies. In Kristianstad, old fossil fuel technologies coexist awkwardly alongside their biomass replacements. The type of tanker truck that used to deliver heating oil now delivers wood pellets, the major heating fuel in the city’s more remote areas. Across from a bustling Statoil gas station is a modest new commercial biogas pumping station owned by the renewables company Eon Energy. The start-up costs, covered by the city and through Swedish government grants, have been considerable: the centralized biomass heating system cost $144 million, including constructing a new incineration plant, laying networks of pipes, replacing furnaces and installing generators. But officials say the payback has already been significant: Kristianstad now spends about $3.2 million each year to heat its municipal buildings rather than the $7 million it would spend if it still relied on oil and electricity. It fuels its municipal cars, buses and trucks with biogas fuel, avoiding the need to purchase nearly half a million gallons of diesel or gas each year. The operations at the biogas and heating plants bring in cash, because farms and factories pay fees to dispose of their waste and the plants sell the heat, electricity and car fuel they generate. Articles in this series examine innovative attempts to reduce the world’s dependence on coal, oil and other carbon-intensive fuels, and the challenges faced. Kristianstad’s energy makeover is rooted in oil price shocks of the 1980s, when the city could barely afford to heat its schools and hospitals. To save on fuel consumption, the city began laying heating pipes to form an underground heating grid – so-called district heating. Such systems use one or more central furnaces to heat water or produce steam that is fed into the network. It is far more efficient to pump heat into a system that can warm an entire city than to heat buildings individually with boilers. District heating systems can generate heat from any fuel source, and like New York City’s, Kristianstad’s initially relied on fossil fuel. But after Sweden became the first country to impose a tax on carbon dioxide emissions from fossil fuels, in 1991, Kristianstad started looking for substitutes. By 1993, it was taking in and burning local wood wastes, and in 1999, it began relying on heat generated from the new biogas plant. Some buildings that are too remote to be connected to the district heating system have been fitted with individual furnaces that use tiny pellets that are also made from wood waste. Burning wood in this form is more efficient and produces less carbon dioxide than burning logs does; such heating has given birth to a booming pellet industry in northern Europe. Government subsidies underwrite purchases of pellet furnaces by homeowners and businesses; pellet-fueled heat costs half as much as oil, said Mr. Erfors, the engineer. Having dispensed with fossil fuels for heating, Kristianstad is moving on to other challenges. City planners hope that by 2020 total local emissions will be 40 percent lower than they were in 1990, and that running the city will require no fossil fuel and produce no emissions at all. Transportation now accounts for 60 percent of fossil fuel use, so city planners want drivers to use cars that run on local biogas, which municipal vehicles already do. That will require increasing production of the fuel. Kristianstad is looking into building satellite biogas plants for outlying areas and expanding its network of underground biogas pipes to allow the construction of more filling stations. At the moment, this is something of a chicken-and-egg problem: even though biogas fuel costs about 20 percent less than gasoline, consumers are reluctant to spend $32,000 (about $4,000 more than for a conventional car) on a biogas or dual-fuel car until they are certain that the network will keep growing. ‘A tank is enough to get you around the region for the day, but do you have to plan ahead,” Martin Risberg, a county engineer, said as he filled a biogas Volvo. Check out their incredible and marvelous website! Lots of great ideas here on good uses for solar energy on the USA’s massive road system. Thanks to NHNE for bringing the solar roadways to my attention (and yours). The book in question is UFOs, Generals, Pilots and Government Officials Go on the Record by Leslie Kean. It is a well researched and carefully written book by a serious and well respected investigative journalist with chapters written by first hand UFO observers in multiple witness cases who are also (as the title suggests) generals, pilots and government officials. Mostly the book does not champion a source of these craft which behave as though intelligently controlled and appear to be metallic, however several of the witnesses propose the ETH (extraterrestrial hypothesis) as the most likely scenario. Other ideas put forth (not in the book) are that the craft are crypto-terrestrial, demonic, inter-dimensional, or time traveling. I personally have no trouble thinking of them as possibly both inter-dimensional and extraterrestrial but that may be fodder for another article. Leslie Kean’s book is now on the New York Times bestseller list as well it should be. I recommend purchasing the book as a holiday or birthday gift for your skeptical friends because it makes a rather air tight case that the phenomena is real. Ms. Kean is also a founder of the Coalition for Freedom of Information and has pressed forward for US government documents using the FOIA (Freedom of Information Act) particularly around the 1965 Kecksburg incident in Pennsylvania. The book goes on to explore the possible dangers to aviation that UFOs pose and makes a case for a serious UFO government agency to be established in the United States as such agencies have been established in other countries. 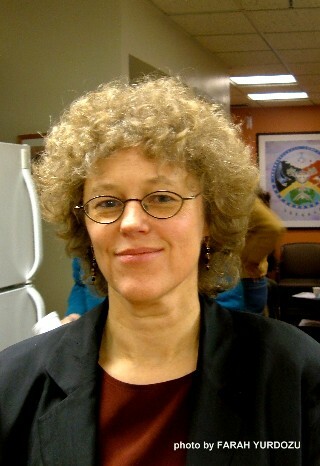 Ms. Kean has been interviewed on many mainstream news shows as well as UFO-interest radio shows and podcasts. I chanced to read James Oberg’s piece , an NBC reporter’s very biased critique of her book about a week ago and was stunned that he had the nerve to trot out the old debunker’s patently ridiculous statement that career pilots are no better observers of aerial phenomena than the average person. When anyone makes such an outrageous statement, for me, the argument is over. It defies imagination that he should expect anyone to believe him. I don’t think he believes that himself or he would be well advised not to travel by air. It can only be that he has another agenda, a reason that he wants the public to discount all reports of UFOs. It is the height of humano-centric hubris to steadfastly hold that there is no other intelligent life in our vast cosmos. Is Mr. Oberg a disinformation agent? I don’t know, but he definitely has an agenda and that agenda is not to promote open minded inquiry. We must wonder why. consultant on Russian or Chinese missile systems, but not on UFOs. absolutely nothing to do with the cases presented in my book. byline and narrative about French research. the Weinstein study, he’ll have to contact Velasco. agency in 1997 because of inexplicable sightings involving pilots. the refinement of the initial identification. different locations, and occasionally observers from the ground. object, often corresponding exactly to the visual sighting. – Direct physical effects on the aircraft, such as equipment malfunction. country in 1986. Two pilots chased one of the objects for 30 minutes. radar systems confirmed the presence of the objects. also a witness, and an object was registered on radar. up the objects in corresponding locations. I could go on with many more examples, presented in detail in the book. landing of a UFO and objects sending beams of light to the ground. Belgium in 1989-90, which includes a spectacular photograph. Britain, investigated by the Ministry of Defense. of a yet-unexplained physical phenomenon with extraordinary capabilities. to be discovered. ThereŒs always that possibility, no matter how small. bearing on the matter at hand. On October 10, 2010 I have discovered a very good article by another paranormal blogger about this subject and the airport shutdowns by UFOs in China. This is a difficult book to read, not due to the complexity of the verbiage, but because of the poverty and abuse this child had to endure at the hands of her family. It brings up the abhorrent practice of child marriage. Many little girls as young as eight years old are married without their consent to men often decades older than themselves. They are often imprisoned inside the men’s homes as little more than slaves both sexual and domestic. The reasons for this practice are complex and rooted in the culture in which they occur. Poverty can cause a father to give his child away, but that same father may have multiple wives and his children may number in double digits. He often cannot support them all but gives no thought to birth control. This puts into place a cycle of oppression against women and girls because they are not considered equal to men and in Islamic countries the females must uphold the concept of family honor. A rumor against the honor of a girl or woman may be the motive for an honor killing, even in the United States. In this book the eponymous young writer exhibits a bravery which is remarkable and praiseworthy. Credit must also be given to the people who helped her because Yemen’s culture can punish the defenseless and those who seek to defend them. I sincerely hope that Nujood chooses to continue her education and become a lawyer like her champion, Shada Nasr, who represented her in her divorce hearing. But Nujood is not alone. Lots of other children are forced into marriage. One quarter of Yemeni brides are aged 15 or less. It seems to me that supporting the education of women and female children in places where they are abused because they are female, is one of the most important things that can be done to bring about world peace and and end over-population.